Place some sugar on a small plate. Use a lime wedge to wet the rim of a lowball cocktail glass or (jam jar for a more casual feel). Dip the class into the sugar to coat. Fill with crushed ice and set aside. Using a cocktail shaker, add the blackberries and using a muddler, muddle the berries until well smashed. Add the vodka and lime juice and shake vigorously. Add mixture to the prepared glass. Top with ginger beer. Garnish with a lime wedge and a few blackberries. 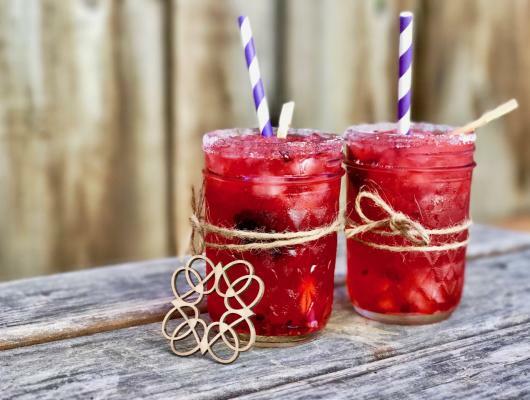 Officially ringing in Summer with this fruity and effervescent vodka blackberry breeze cocktail.